The SACRB bearing as floating or fixed bearing combines properties such as high load ratio, angular adjustment and easy axial shifting. The name of this bearing type describes the function, it is an adjustable roller bearing. 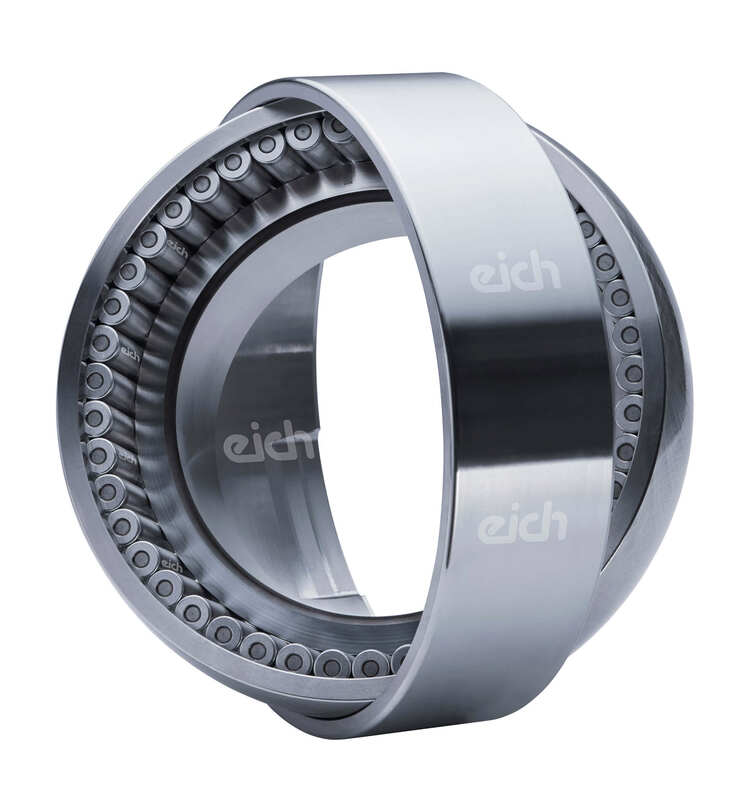 This bearing type consists of an inner ring, a set of rollers, usually full complement or with a cage, a spherical outer ring and the adjusting ring, the calotte. The spherical outer ring sits in the calotte and can compensate for misalignment of the bearing seats. The setting of the angle thereby does not occur in the contact of the roller bearing. The load capacity of the roller bearing remains fully intact in every position. The floating bearing variant has a smooth / straight inner ring, the rolling elements can easily move axially on it. By the above-described principle of the angle adjustment, even in the tilted state a force-free axial displacement, e.g. by thermal expansion, is possible. The fixed bearing has either a fixed board on the inner ring and a lateral thrust ring, or a smooth / inner ring without rib and two lateral pressure rings with which the axial forces can be passed. This SACRB bearings are an alternative to spherical roller bearings or toroidal bearing, in most cases they can be exchanged one-on-one. With a click on the respective PDF you can open it for viewing and download it if required. Do you need something out of the ordinary? As manufacturers of special bearings we can modify the standard roller bearing types to meet a customer’s requirements. Contact us!